Need a quick lunch or dinner idea? 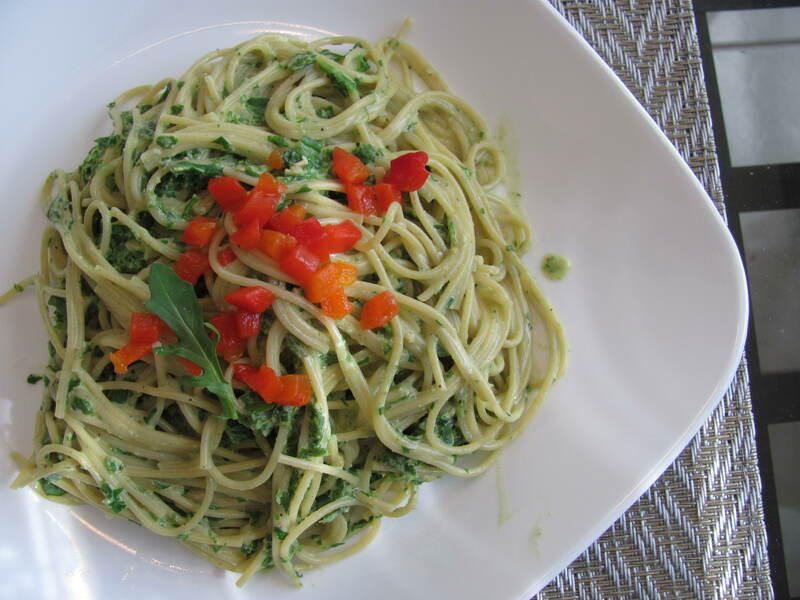 Want to get raw greens in your diet without having to eat a salad? 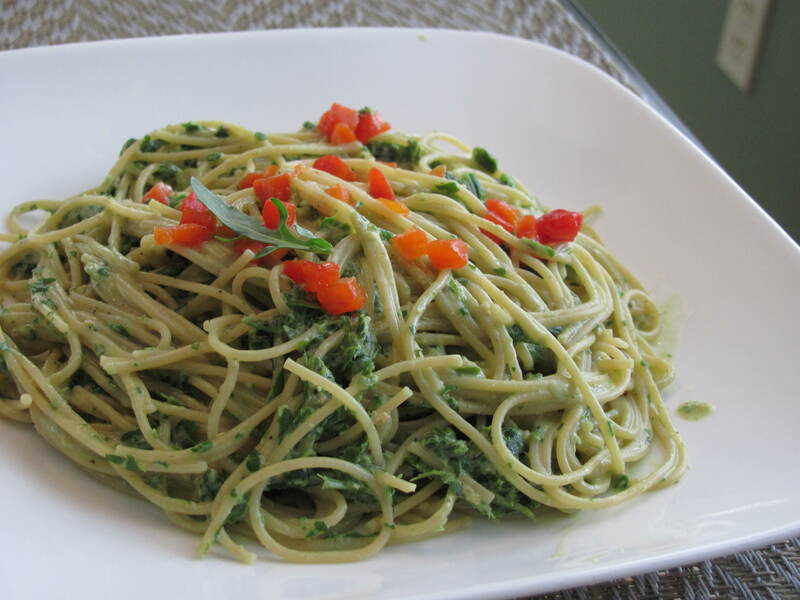 Make pesto with fresh baby arugula greens instead of parsley. The flavor is mild and warm from the toasted pine nuts. Serve topped with diced pimento peppers and a side of garlic toast. Boil pasta as per directions, drain until about 3/4 of the liquid is removed. Don’t leave so much water that you can still stir the pasta around; leave just enough so the noodles are a little moist, but not completely drained. Put pasta back in pot and set aside. Toast pine nuts in a toaster oven at 450° until they are lightly browned, about 5-7 minutes. Add rest of ingredients to blender and pulse until arugula is finely chopped. I used the chop mode on my blender and it was perfect. 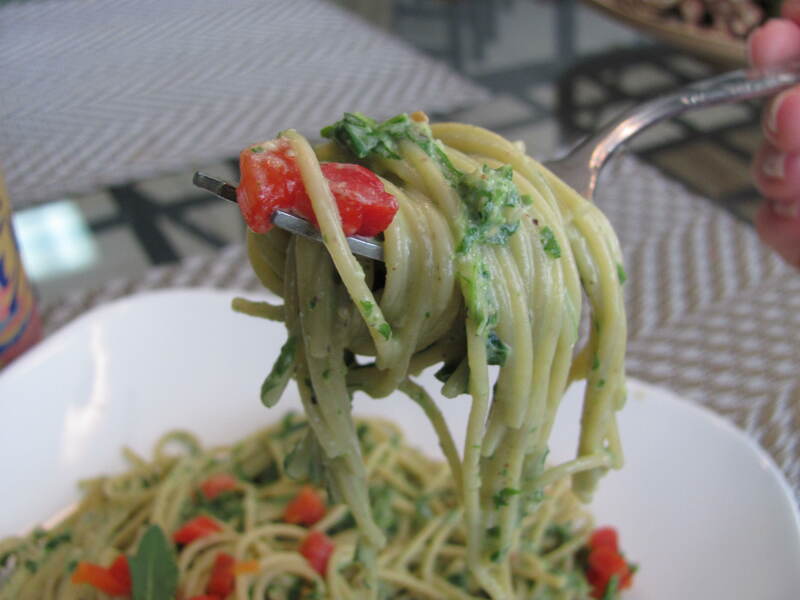 Add pesto to the pasta pot and mix well. Serves 4-5. I ate a huge bowl of this about 3 hours before I ran 10 miles. It definitely gave me the carbs I needed!